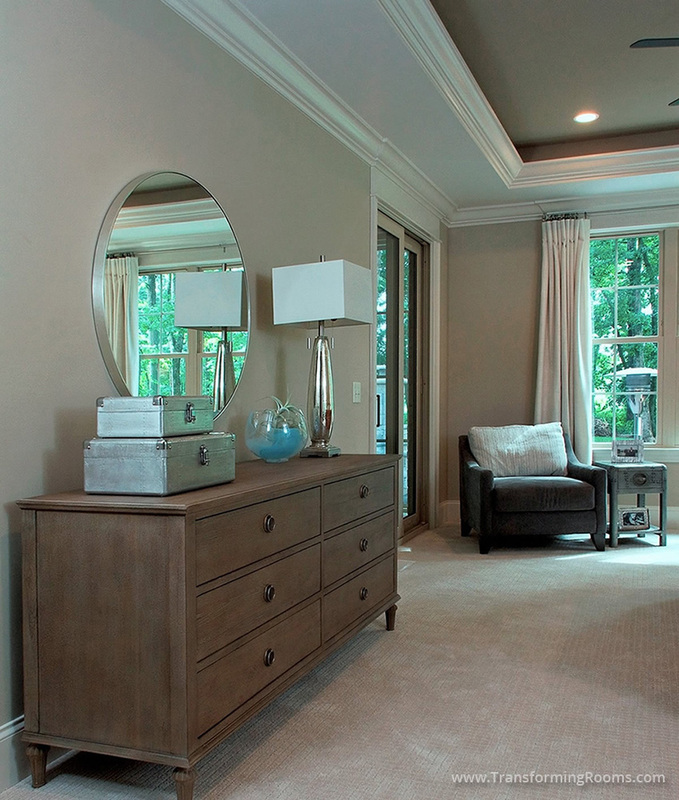 This Greensboro, NC bedroom is luxurious with our interior design touches. Notice our gray wash dresser, round mirror, and a comfortable lounge chair. 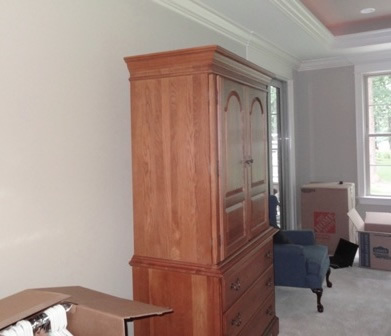 The dresser compliments the paint color in the tray ceiling. The chair in the corner provides a comfy spot for reading or enjoying the view. We gave this bedroom the contemporary updated look the client desired.